Since long, it has been recognized that crops and soils are not uniform within a given field. The potential of precision farming for economic and environmental benefits could be visualized through reduced use of agricultural inputs such as water, fertilizers, herbicides and pesticides which leads to increasing productivity and sustainability. eXabit Systems develops and adopts new eco-friendly technologies for increasing crop productivity. 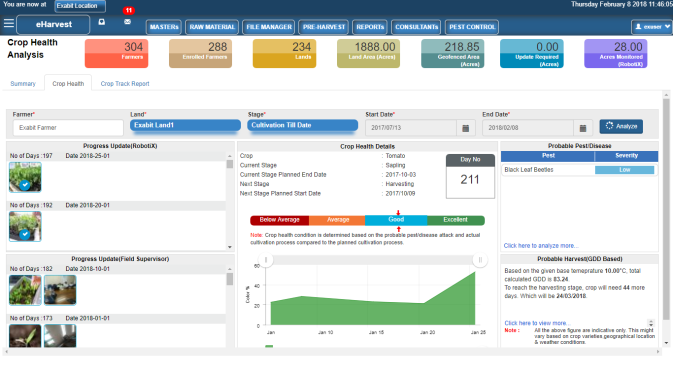 With a strong focus on Smart Sensing & Monitoring, Smart Control & Smart Analytics technologies to enable Precision Agriculture for mass, eXabit offers Hi-Tech Farming as a Service (HaaS) & outright sales for agro-based enterprises; with the Crop Analytics, Farming Extension Services, Crop Advisory, Farmer & Field Digitization along with real-time based Farm Automation. 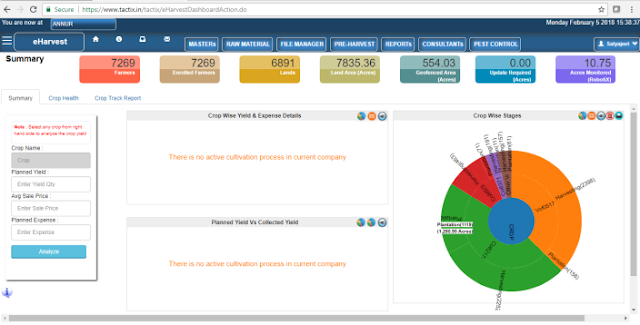 It gives the company the leading edge to serve their customer base across all segments of individual grower till Enterprise/Commercial Agri organizations with the help of latest technologies such as Cloud, Mobile & IoT. 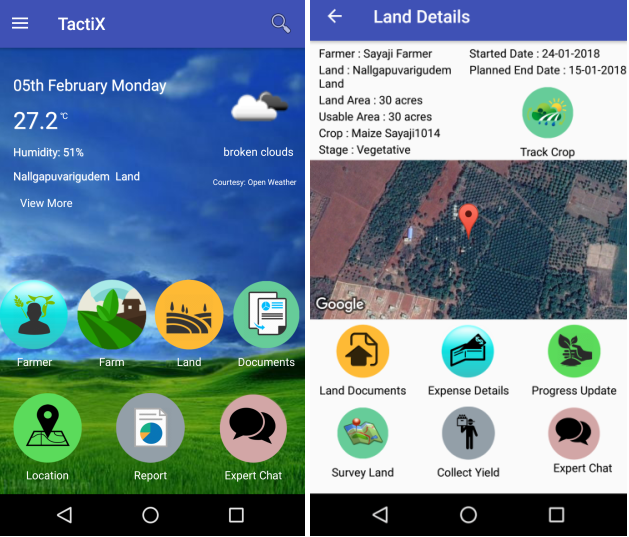 RobotiX-IoT Platform: A cloud- based IoT agri-tech platform, enabling smart precision agriculture. India is an agrarian country. Indian agriculture accounts for almost 14 per cent of GDP and employs 52 per cent of the population. This is what makes it a very important sector which is however, under performing at the same time. In such a scenario, it has become necessary to come up with innovative agricultural technology solutions to meet the forthcoming demand and challenges. 1. IoT Platform for global enterprise operations. 2. Micro climatic & soil-based analysis and advice. 3. Stage wise crop advisory. 6. Integrated supply chain management. Automation of 7 greenhouses has been handled for its progressive farmer clients. 37 RobotiX units have been installed. Field trials have been conducted for 3 different models. 8000+ Farmers have been digitized & connected by the system. 12,000+ Acres have been digitized & managed by the system. Presence in 6 different states. Distribution network has been created across 3 states. It was in 2013 that the team of four engineering college friends- Satyajeet Mahapatra, Amulya Mishra, Prashant Sahoo & Avinash Agarwal started working on their plan to do something on their own & do something towards “Solving some Real & Serious problems” of the society via their entrepreneurial venture. Eventually, in September 2014, they finally started eXabit with an aim to solve the issues and problems that farmers face on a regular basis. Though they started providing post-harvest services that year, the work on the prototype of RobotiX was rolled out into the field in October 2015. After conducting several field trials across different geographies with various crops, it was ready for sale in July 2017. Their aim was to make a farm-grade product, which can be deployed anywhere in just 15-20 mins & starts working almost without any human intervention. This is how their journey started from asking friends and family for the initial investments and conducting field trials to get customers, to now when they have investors and more than 25 customers, 20+ pipeline customers across Pan India. In this way, the company and its founders have come a long way. The team at eXabit believes that the continuous effort by government & various other social as well as private organizations to act responsibly towards safe food production, sustainability focus, understanding the need of precision agriculture, more food requirement & bringing transparency in dealing with various farmer & farming schemes will contribute towards the acceptance of its technology at all levels. The promotion towards Digital India & converting all possible data into digital information will also contribute towards opening up the market to their platform. Agriculture is being treated at present mostly as a monsoon dependent industry. Commodity pricing volatility, absence of mechanism to have a clear & mutual beneficial law towards contract, community & co-operative farming affects the moral & economic viability of their individual & enterprise consumers on time to time basis. However, with the recent suggestion of NITI Aayog, government’s pro-activeness throughout the country towards agriculture & overall food safety, GAP (Good Agricultural Practise) requirement at an international market level is giving the team confidence to move their planned path. Muniratham, a farmer in his mid-fifties, in Kuppam, Andhra Pradesh, witnessed his crop yield fall by half following damage to his crops as he was unable to take serious notice of the details being sent to him on his phone. The previous cycle when he did notice them, his yield had been better than ever. The notifications were being sent to him by eXabit’s RobotiX & TactiX – a comprehensive agri IoT platform, that he had set up at his farm. It was this product that helped him to understand the reasons for the loss in the second and take corrective steps to get the optimum results again. This is where a product like RobotiX aims to come in and change the way of not only how farming is done in the country but also improve lives of farmers by taking care of the problems that usually lead to crop damage. 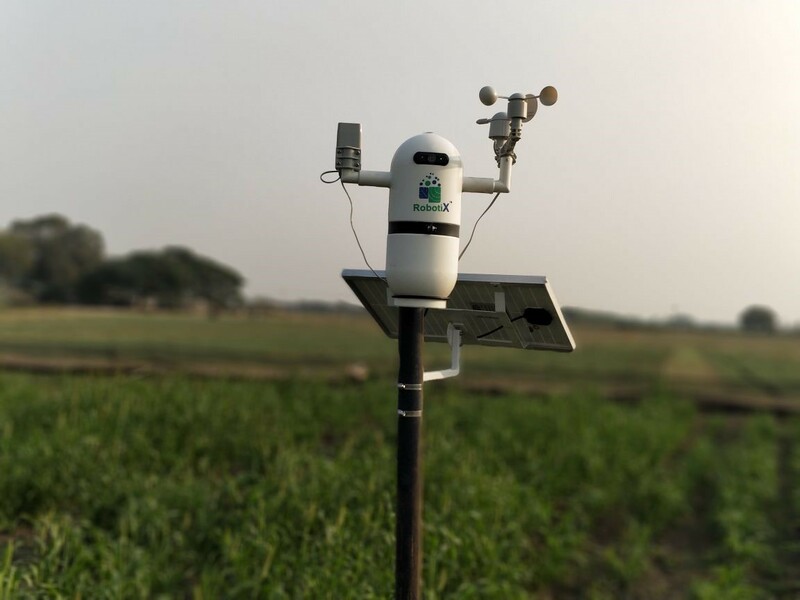 Through its IoT platform, the farmer is guided in a way that not only protects the crop from damage but is also able to increase the gross output of crop by using precision farming practice. RobotiX IoT platform’s farm automation on real-time basis makes sure to use natural resources like water in a proper way as well as to increase the field labour efficiencies to focus on other critical aspects of the crop by allowing him/her to leave the monotonous job of managing the motor, irrigation, valves, sprinklers, so and so forth to the RobotiX on-field device. It roughly saves around half labour for the farmer/grower per month towards monitoring, controlling & taking care of certain activities which now via RobotiX does at a fixed cost (which is again on rent). No Annual Hike, No Leaves, No Need of Food, TA & DA. Available on field 24×7!! A targeted 20~25% gross margin improvement for the farmer. Winner Design4India Award-2017, by NASSCOM Design4India Council. NASSCOM Emerge 50 Companies 2017.